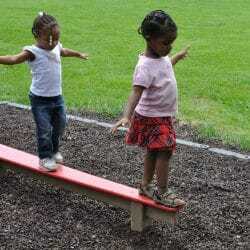 Develop balance and coordination through play on the outdoor preschool playground. 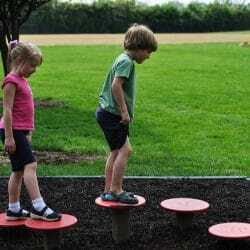 The Adventurous Child’s unique Tri-Level Balance Beam provides children with a level surface, a step up or down, and an inclined plane all within the same preschool balance beam. 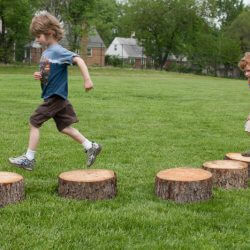 The level beam is 6 inches off the ground and allows children to walk straight forward with no incline. The middle beam is only 2 feet long with a 6 inch step from the level beam to the middle beam. The ability to step from narrow beam to narrow beam requires a greater skill level than just walking on a standard preschool balance beam. 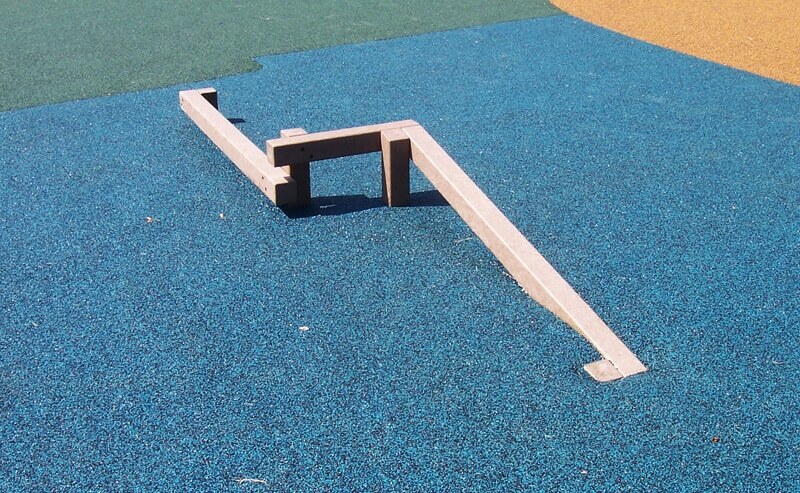 The third beam is the inclined plane, which requires children to walk up or down the hill while simultaneously balancing on the beam. 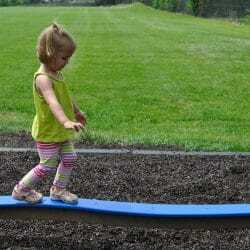 This outdoor balance beam is designed to reach from ground level to 12 inches off the ground. CPSC Guidelines recommend that all children’s outdoor play equipment has a resilient fall surface.